When I thought about it the county you live in is also numbered the same as that inter-state. I thought there was an outside possibility that's what the number meant. do you have acat andog? I don't have any pets I HAD a fish but it went belly up. Well, thought I would post the origins of my name. It is two parts, the first being Joker. Which comes from my favorite movie of all times...and no it isn't Batman. But rather Full Metal Jacket. The second part, the CM is a military term for "Charlie Mike". Which mean to Continue Mission, and is an important part of the Ranger Creed..."Readily will I display the intestinal fortitude required to fight on to the Ranger objective and complete the mission though I be the lone survivor"
I guess here is as good a place for a 'Howdy' as any other. I love these 'origins of a name' threads...... Names are symbols and they really mean something. Anyway, we are CatsInTheCradle and we currently hail from New Concord, OH. I picked the name in honor of my favorite Harry Chapin tune.... kind of a mantra/reminder for me about what is important in life (my wife and our 4 kids)! Growing up, like many folks, Dad was often busy working or too busy for hanging out with kids.... I don't want that to be me. We found Geocaching by mistake at a CiCi's pizza on April 1st, 2009. An event happened right next to us and I was instantly hooked. All four of the kids now have GeomateJrs and I use my Blackberry (that was how the host of the event thought we were already cachers... My wife takes the pictures and we cache as a family almost all of the time. OK, here goes. TTbph. TT is my initials (Toni Tackett), and the bph stands for 'Blonde Palomino Hussy'. Many moons ago, a resident at the nursing home I worked in called me a '(expletive) Hussy' when I opened a window in her room on a warm spring day. I'm not sure what she thought I was doing in the window, and I didn't ask (I was too busy laughing). The blonde palomino was added to the 'hussy' by a guy I worked with years later, after I related the whole story. I've been the Blonde Palomino Hussy ever since. Since TT Blonde Palomino Hussy is a lot to write on a log, it's been shortened to TTbph. Like most people my caching name comes from one of my first e-mail account names. It was a long running joke with co-workers. After answering the first thirty phone calls on any given day my voice would become dull and monotone. In hindsight, had I thought about signing "humdrumbill" on every log I've found I would have created something much shorter. 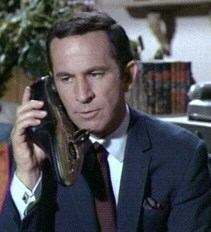 My avatar is a picture of Maxwell Smart, the very first smart phone owner. Merah is my nickname from high school, when my friends thought my proper name took too long to say/spell. My favorite number is 42 and, according to The Hitchhiker's Guide to the Galaxy by Douglas Adams, is the answer to life, the universe and everything. This is going to be painfully uncreative but I am a lawyer who LOVES being a lawyer. More importantly, I am a criminal defense attorney who regularly gets reminded that I am going to hell for my choice of profession. Hence, legalheaven is a sort of poke at both of these concepts. Hello all, New members and new Geocachers. Our name is simply our initials and our last name. Nothing special nor fancy =). We may try to change it someday but for now it works. My Wife, Brandy, me James, Hamiltons from Findlay, Ohio. We have been taking pictures of our Garden gnome near caches or landmarks. He is decked in OSU garb and he loves to rub it in with his "Go Bucks!" sig in logbooks. Another passion of his is having his picture taken IN Michigan /snickers. He has earned the nickname Bucky the "GEO-Gnome". I will try to get a picture small enough to use as our profile pic. I guess I will add on to this thread since it has been almost a year since the last post and I really haven't done anything on here other than reading threads. My first name is Crystal. No one ever seems to spell it right. So I went with a K just because I can. Dark fits for two reasons. I have been a part of the goth culture for a good part of my life and one of my favorite movies growing up was the Dark Crystal. Not much more there. jslagle - my husband knows you from NNL (it is his BBS after all ). This also happens to be the first email address I ever had. It was created in 1998 in the library of Monroe County Community College. I was graduating high school just as home computers were becoming a necessity. We didn't have one at home but I needed an email for communication in college. The day I created the email address we had been talking about which attributes belonged to which side of the brain. I am more artistic and creative then book smart. Also, I was born in 1979. Thus, rightbrain79 was born. Interesting fact: This email address has over 20,000 unopened emails. I have multiple email addresses and use it specifically for entering contests and giving to cashiers. Well, when we first started looking at geocaching.com, we had already talked to one person who had tried it (GoldDogs from the Dundee, MI area). So, we kind of knew what we were doing, but had no clue at the same time. We decided to each have an account, and maintain one for each of the kids for when they got older. April and I each started our own account also, just in case we weren't able to go out together and cache. But we always signed as Team ForPawz. Around the time of our first Holiday event...we decided to combine and officially name the account Team ForPawz. It made hiding and logging trackables so much easier. We always do things together anyway, so we made it offical. In high school, all my friends had xbox gamertags that started with Angelus then a second word. Additionally, Cowl is one of my favorite characters from a book series.